SolveLight Robotics is delighted to present the UBtech Alpha Intelligent Humanoid Robot with its easy to program software and friendly user interface. The UBtech Alpha Humanoid Robot is a great buy for kids because of its great design that incorporates many sought out features. It even comes with its very own remote controller to execute all the many different functions and movements. The UBtech Alpha is built with only reliable and quality parts differentiating its self from the other robots for sale. The UBtech Alpha not only has the ability to walk upright like a human, but is also designed to perform tasks such as singing, dancing, Kungfu, football, story telling, and much more. Alpha even has the ability to balance on one leg. 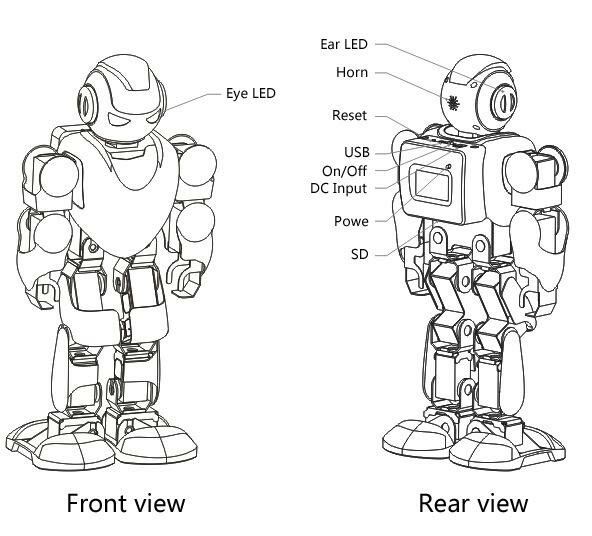 Not only does the Alpha Humanoid Robot have a unique and modern design, but it also incorporates LED lights in the eyes to bring out its robotic appearance. Control UBtech Alpha via remote control, keyboard, or straight from your smart phone device after downloading the Alpha1S app (compatible with IOS and Android). Designing your own moves has never been easier with its easy to use 3D visual programing for beginners and advanced programmers. Alpha’s graphic programming is great for beginners to learn on because you manipulate pictures that moves Alpha, rather then code. 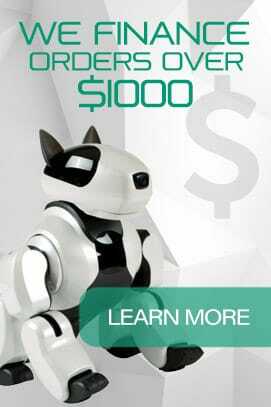 For a great user experience, look no further than the UBtech Alpha Humanoid Robot. Its accessibility to control features and anti-pinch structure designed for avoiding injury when operating the robot is great for beginners and advanced users alike. Designed with low power consumption and a short charging time of 2 hours yields the user 50minutes of playtime. Lastly, its 3D visual PC software will make programming your Alpha Humanoid Robot a synch completing the overall user experience.